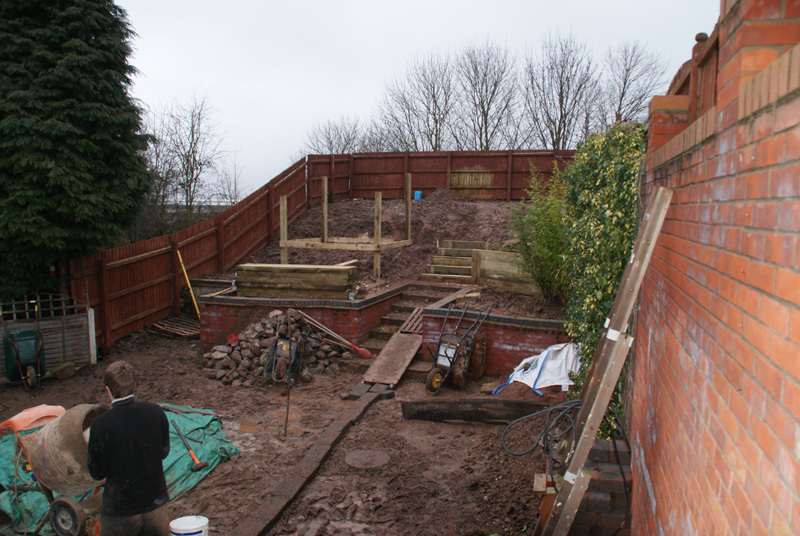 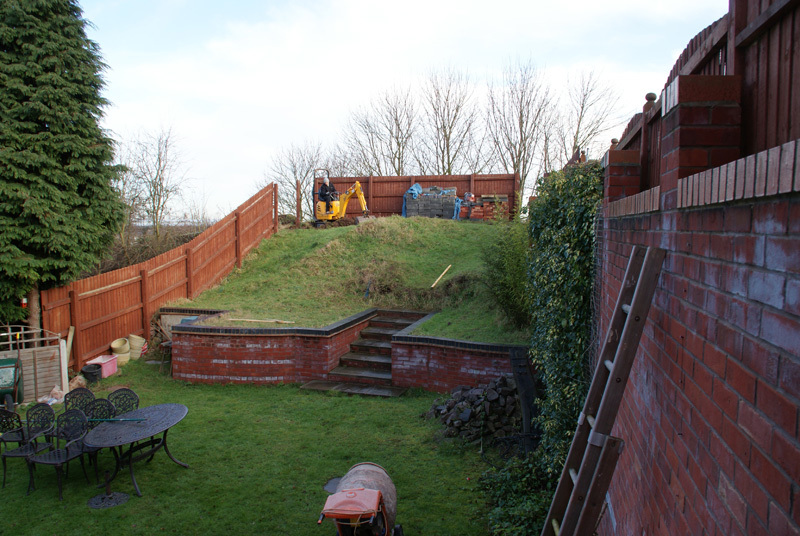 Perhaps one of the most difficult challenges Style Earth has faced is this sloping garden in Coleshill. 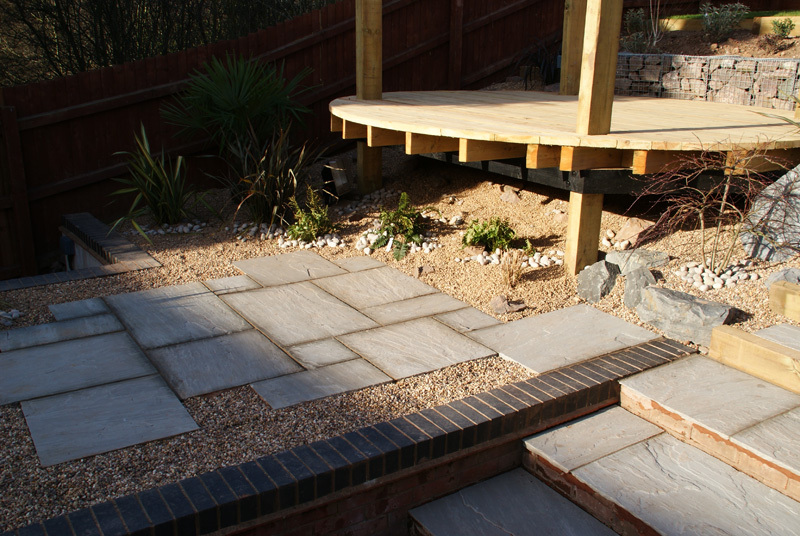 A 'floating deck' provides a beautifully positioned seating area whilst sandstone and sleeper steps guide you up the incline. 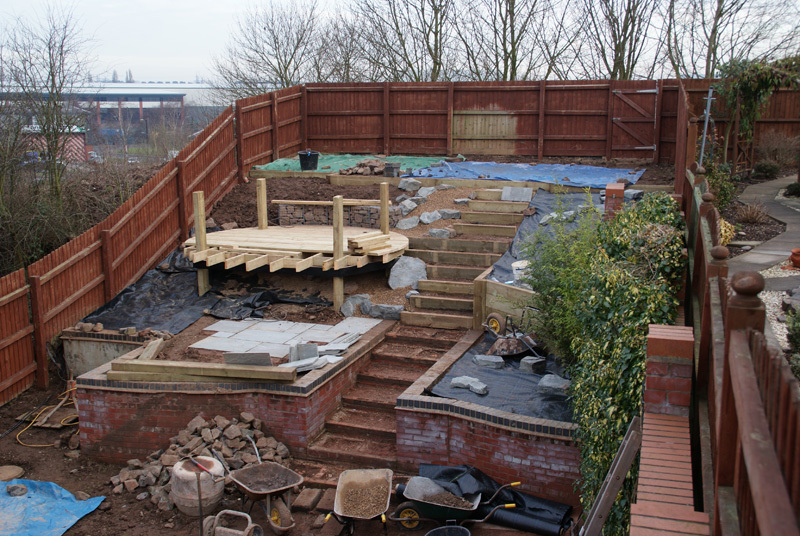 A dry stream and surrounding planting complete the inclining area. 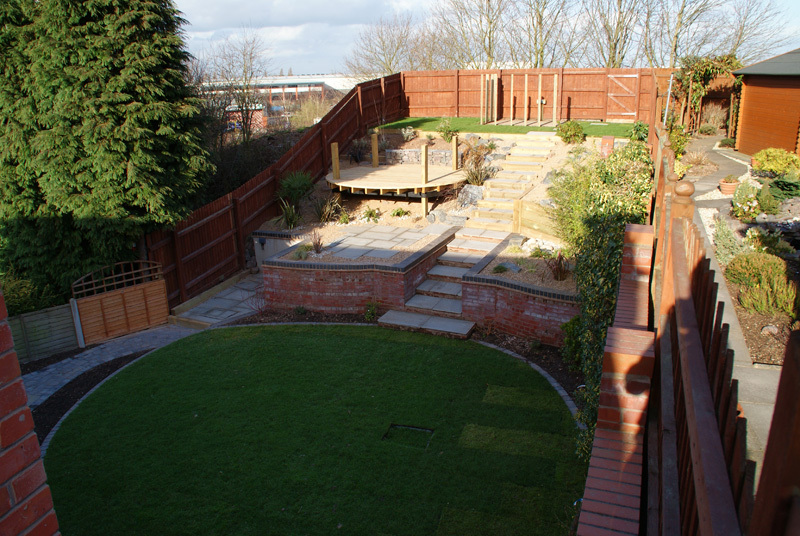 A sculpted lawn, patio area and planting bed adorn the lower level area directly in front of the house. 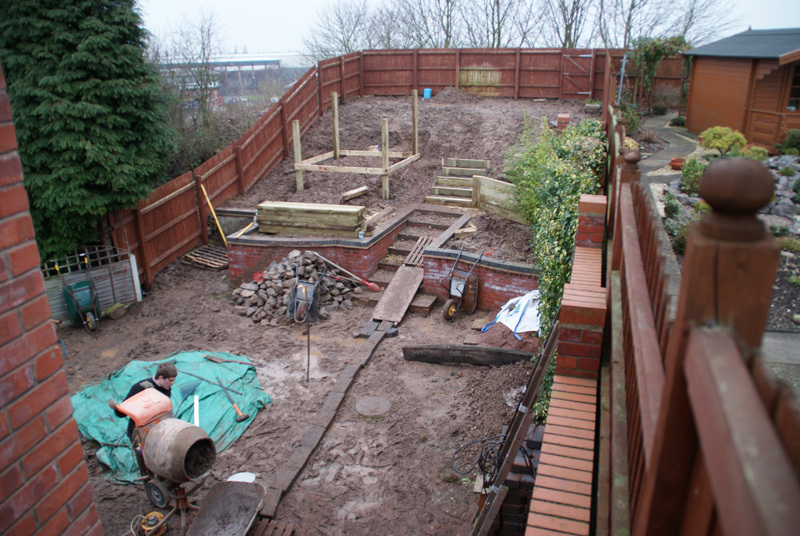 A wooden screen hides the area where a greenhouse will sit in the upper lawn area. 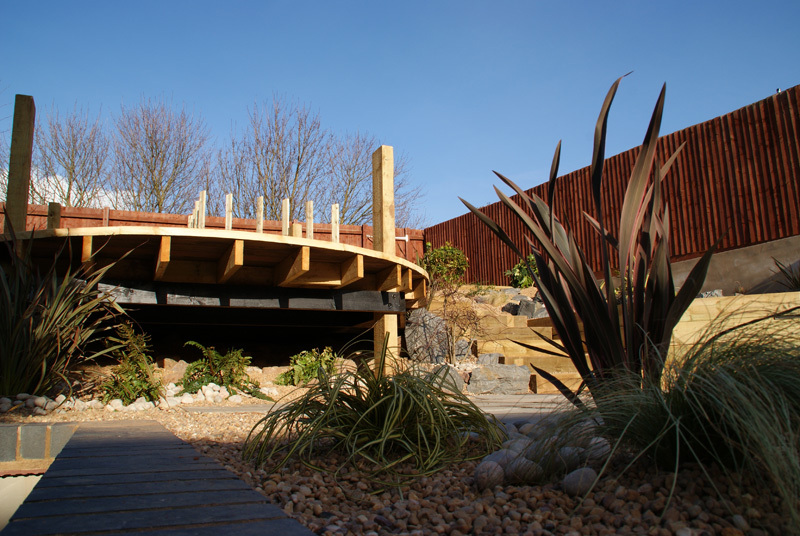 Our aim is to produce exceptional gardens tailored to your requirements, whether it be a new driveway, fitness area or even creating a tranquil hide away within your garden. 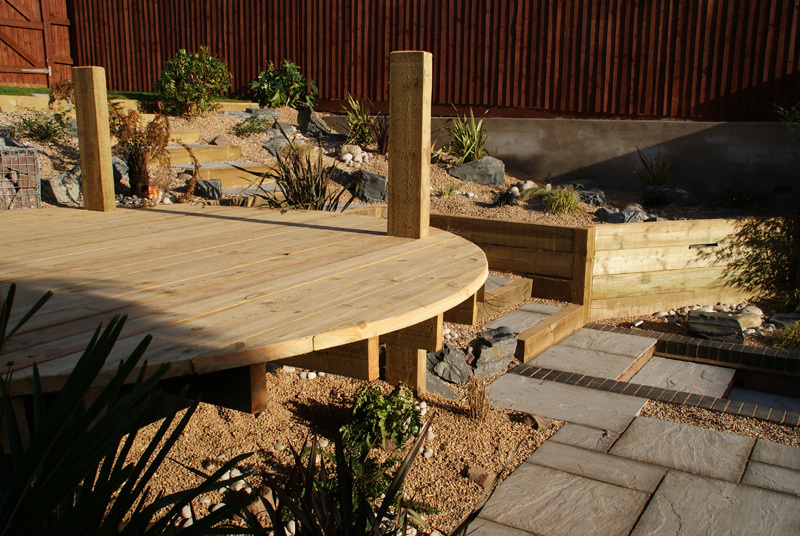 Whatever your perfect garden involves, contact Style Earth to make your dream garden reality.